We focus on analyzing SERVICE and HEALTHCARE sectors, usually niche markets that no one else has analyzed. Most importantly, our research is NOT funded or commissioned by anyone--so it’s always unbiased. Our market studies are sold direct, and are also available via marketing research distributors and online business databases such as: Marketresearch.com, Mindbranch, Global Information Inc., Bharat Book Bureau, PharmaceuticalMarkets.com, and Dialog/Profound. Most market reports are also available via electronic business databases, for a fee. Here, one can download as little as one page from our reports. We also perform Custom Market Research projects and Management Consulting, including phone and mail surveys. Basically, we can find information on ANY topic or market, quickly and inexpensively. Over the years, thousands of small, mid-sized and Fortune 500 manufacturers, consulting firms, banks, government agencies, ad agencies, merger & acquisition candidates, brokerage firm analysts, and many others have purchased these strategic reports. Obtain unbiased analyses and figures to back up their business plans, or investment choices. Reports can be purchased by chapters. The buyer can pick and choose only the sections they need without having to purchase the whole study. Many publishers do not offer this option. Marketdata reports usually include historical revenues/market size going back 10, 15, or 20 years. We believe that it’s important to look at a market over the long term, through various market cycles, recessions, and expansion periods – we do not forecast based on short term trends. We use a comprehensive mixture of primary and secondary research, consisting of information from public and private sector sources, mail and phone surveys, internet research, government agencies, trade associations, and more. Each market study is “custom crafted”. Each market has its own special nuances and characteristics. Consequently, reports can not be put into a cookie cutter or boilerplate format. Mr. LaRosa is the President of Marketdata Enterprises, Inc., a 39-year old privately owned independent market research publishing/consulting firm. During his career, Mr. LaRosa has personally authored more than 100 major industry/market studies, primarily in the service and healthcare sectors. In addition to publishing such studies, Marketdata has extensive experience creating and building “authority websites”. 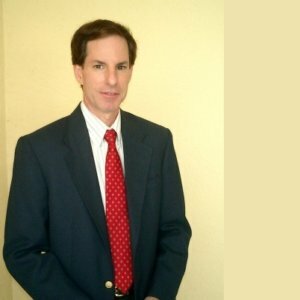 Mr. LaRosa has been an analyst of the U.S. weight loss market since 1989, researching and writing 13 editions of an in-depth market study entitled: The U.S. Weight Loss & Diet Control Market, the Diet Food Home Delivery Market, Weight Loss Websites, Worksite Weight Loss Programs, The Medical Weight Loss Programs Market, The Market for MLM Weight Loss Products—50+ in-depth weight loss reports, as well as quarterly Online Dieter Research Reports since Q1 2005-2012. He has been directly involved in the creation of dozens of service sectors and healthcare reports, listed on the home page of this website. He is also a national expert for the self-improvement/personal development market. Marketdata’s research is also available via several electronic databases, internationally. Mr. LaRosa performs frequent custom studies and consulting assignments for Fortune 500 corporations, and writes articles for a variety of trade associations, newsletters, magazines and journals. He also hosts various trade conferences periodically, and hosts teleseminars and webinars. He is also a professional speaker. Mr. LaRosa has worked as a consultant and advisor to several industry trade groups, including the American Medical Spa Association, Equipment Leasing Association, and National Parking Association. He has been a contributing writer to trade journals such as The Bariatrician and WLS Lifestyles. Mr. LaRosa holds numerous conference calls with Wall Street and stock analysts, primarily covering the weight loss market. He also critiques and advises start-up companies with new product launches, business plans and marketing plans.